Posted on April 26, 2016 Posted in Panna Cotta	. 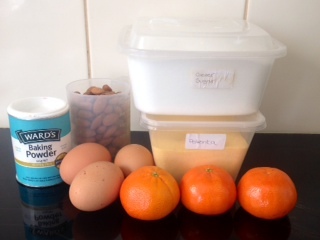 I recently went through a phase where I wanted to make ‘healthy’ desserts, but without using super expensive ingredients or ingredients that are difficult to find. On top of this I didn’t want them to be too hard to make, I wanted to make the recipe easy for anyone to pick up and master. 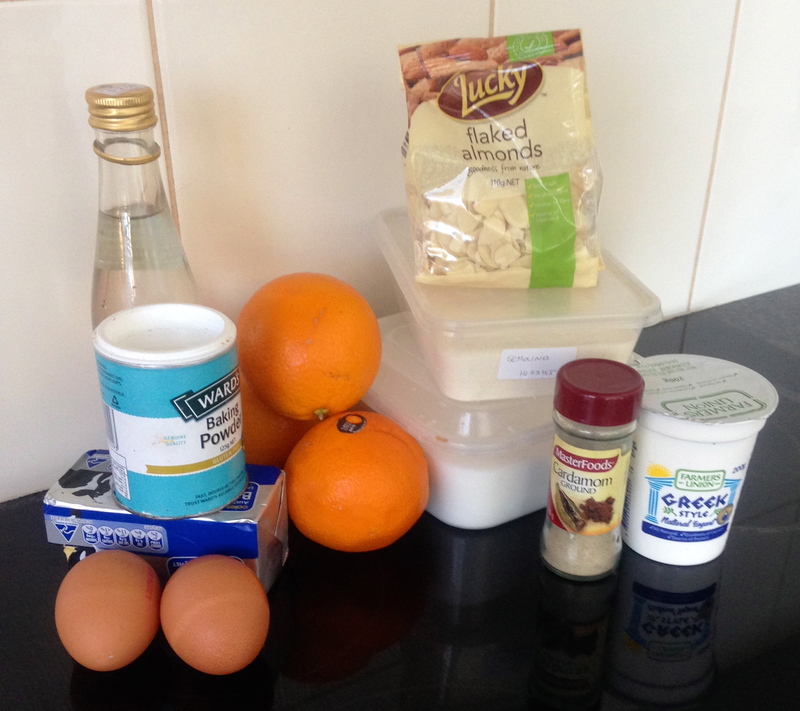 Additionally, I wanted people to be able to zip into Coles for ingredients and make a simply tasty and not KJ (calorie) heavy dessert. 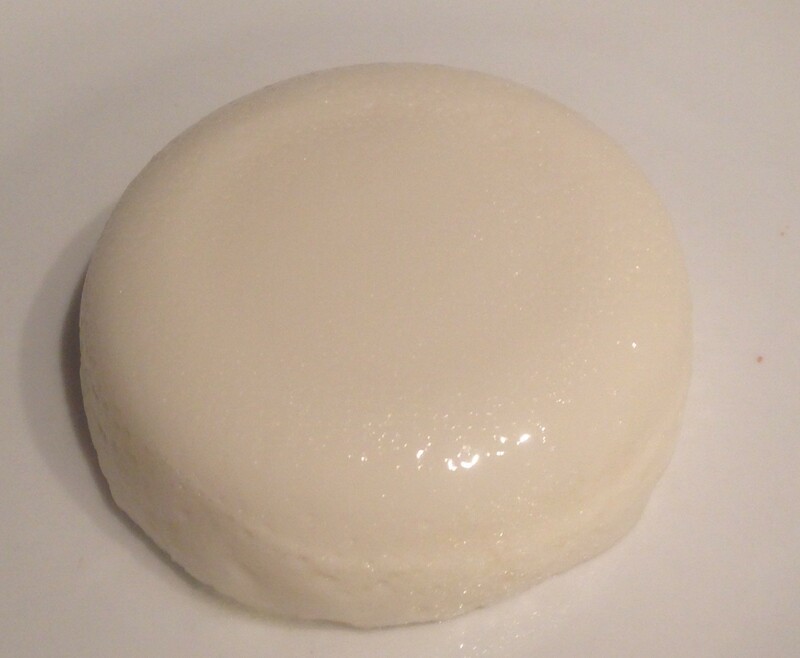 This Panna Cotta recipe uses low fat yoghurt and milk instead of fattening cream and honey to add some extra sweetness. The figs provide some beautiful flavor and sweetness (especially being soaked in honey). 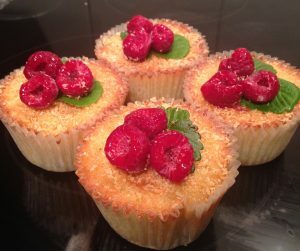 Spray 4 x 250ml cup ramekins with oil spray. 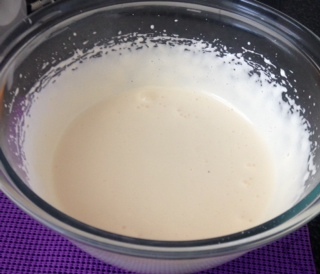 Place the milk, honey and vanilla essence in a bowl and heat in the microwave until boiling, stir to combine. Add the gelatine and beat until smooth with no lumps. 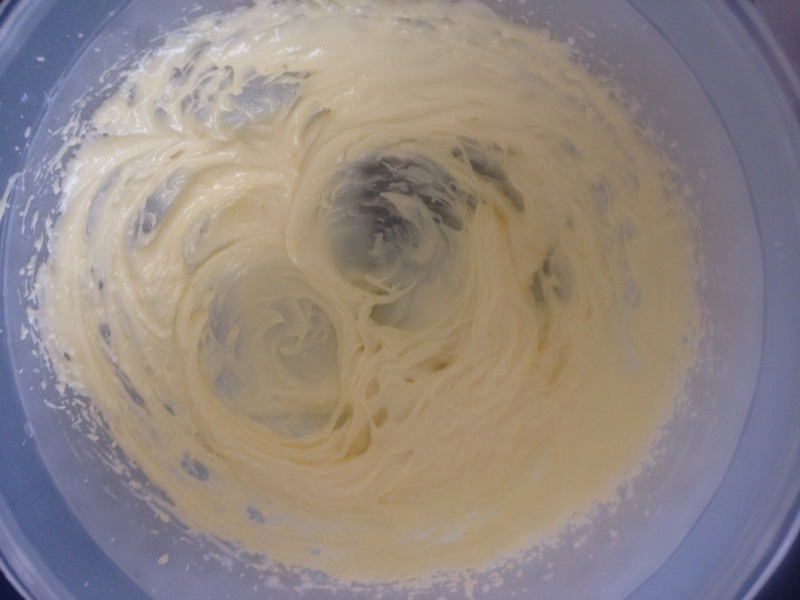 Add the yoghurt and whisk to combine. Pour the mix evenly between the 4 ramekins and place in the fridge to set for 4 hours. Meanwhile, make the figs cut up the figs into 6 pieces vertically and place in a saucepan. Add the honey and water to the saucepan and heat on high on the stove. 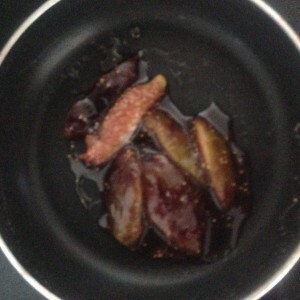 Stir constantly until the figs are soft and a syrup has formed (will take around 5 minutes on high/medium heat). Place the syrup and figs into a bowl and leave aside to cool completely. 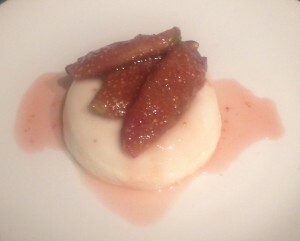 Once the Panna Cotta has set turn out onto a plate and top with the cooled figs and cooled syrup. Serve. Tags: figs, honey, panna cotta, syrup, yoghurt, Yoghurt Panna Cotta with Honey Figs Syrup	. Posted on October 13, 2014 Posted in Cakes	. Mandarins at the moment are so moorish, just asking me to bake something with them! 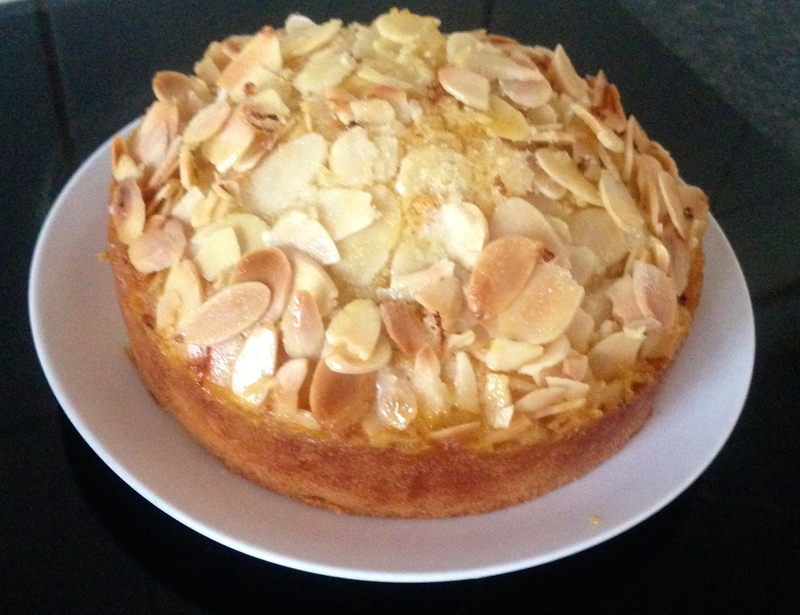 After making the Semolina and Orange Blossom Cake a few weeks back I decided to take inspiration from the earthy influence and create a new recipe with a similar texture using another unusual base ingredient. 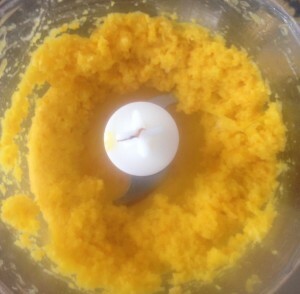 Polenta is quite similar to semolina that is derived from corn instead of wheat with comparable denseness and unique texture (therefore making it gluten free). For flavour I decided to take advantage if the juicy and sweet mandarins which brought me to the end result of a Polenta and Mandarin Syrup Cake. Pre-heat the oven to 180c and line a 20cm spring form baking cake tin with baking paper. Place the mandarins in a small saucepan. Fill with water until the mandarins are covered and bring to the boil. Boil on high for 30 minutes or until they are very very soft. Remove from the saucepan and place, skin and all into a food processor and process until pureed with no lumps. 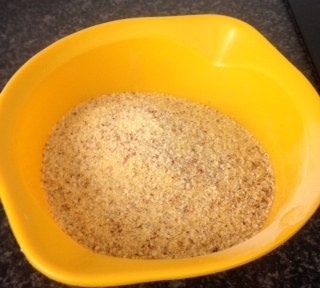 Place the polenta, almond meal and baking powder in a bowl and stir until combined. 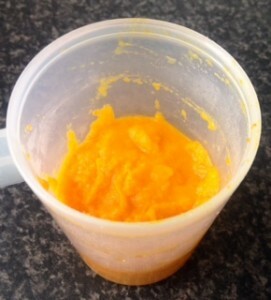 With electric beaters beat the eggs and sugar for 10 minutes or until mix is thick, pale and tripled in size. 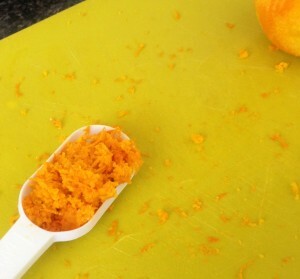 Fold very carefully half the polenta and puree mandarins, then add in the remainder of both the polenta and puree very carefully until combine. 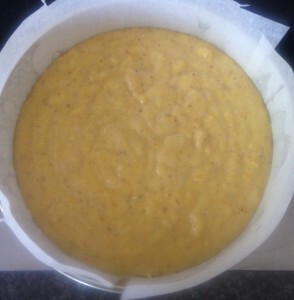 Pour the mix into the cake tin and place in the oven for 40 minutes of until a skew comes out clean. While the cake is cooking make the syrup by placing the water and sugar in a saucepan on high, stirring until the sugar is dissolved, then leave on medium for 8 minutes or until the syrup just started to caramelize and goes rich in colour. Swirl the pan every few minutes to stop the sugar crystals forming on the sides of the pan. 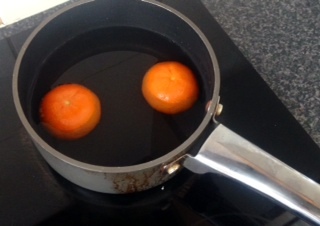 Now very careful not to burn yourself pour the mandarin syrup into the saucepan and using a whisk stir until the mix is combine, smooth and silky. Using the cake skewer pierce the cake about 20 times to place little holes. 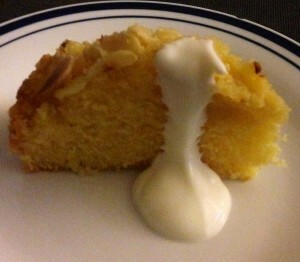 Now with a spoon pour the syrup over the cake evenly. Swirl the tin to make sure no syrup sits in the middle of the cake and leave to cool. 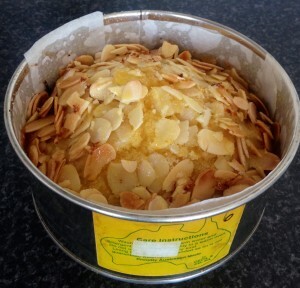 Once cooled take out of the tin and enjoy. Notes: You can serve with a dollop of whipped cream. 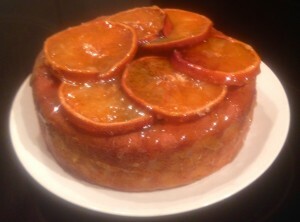 Tags: mandarin, Mandarin and Polenta Syrup Cake, Mandarin Polenta Syrup Cake, polenta, syrup	. Posted on September 21, 2014 Posted in Cakes	. This cake incorporates unique flavors and ingredients that when combine produce the most amazingly textured and tasting cake. The texture of the semolina, taste of the orange blossom and crunch of the almond meal/flakes creates a cake that will melt in your mouth. Add the orange syrup and you would swear the cake has just come out of a Greek nonna’s kitchen. The orange blossom delivers a special twist on top of the orange syrup for a unique rare luscious flavor. Preheat the oven to 180c and line a 23cm spring form cake tin. Beat butter and sugar with electric beaters in a bowl until thick and pale. Add the zest and blossom water, and beat until combine. Add the eggs one at a time beating in between each addition. 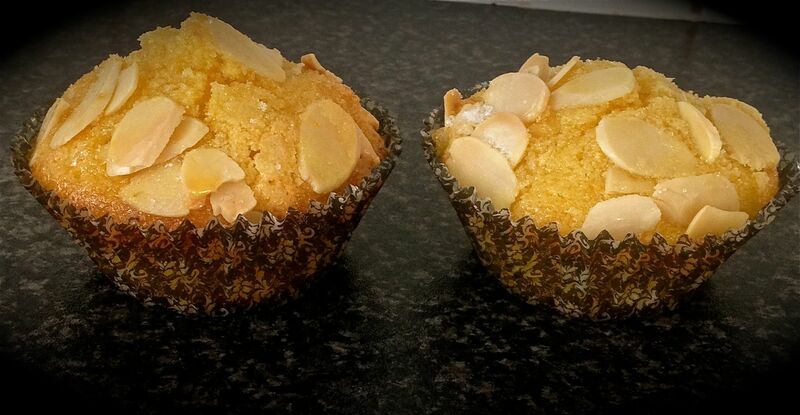 Stir in the semolina, almond meal and baking powder until well combine. 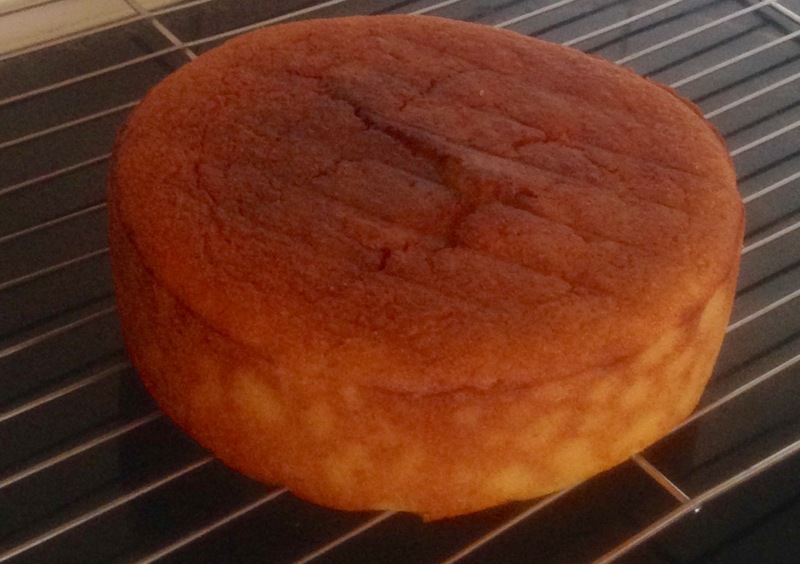 Spoon cake batter into the cake tin and flatten out with the back of the spoon. Sprinkle the flaked almonds on the top, and then sprinkle the extra sugar. Bake for 40 minutes or until a skewer inserted in the middle comes out clean. 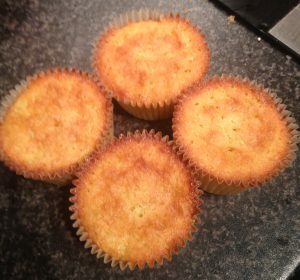 Leave in the cake tin and using the skewer poke small holes in the top of the cake. 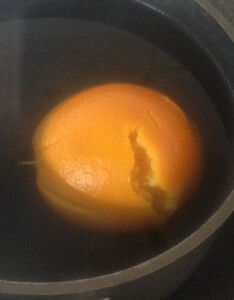 To make the syrup place the sugar and orange juice into a sauce pan stirring on high until the mix bubbles. 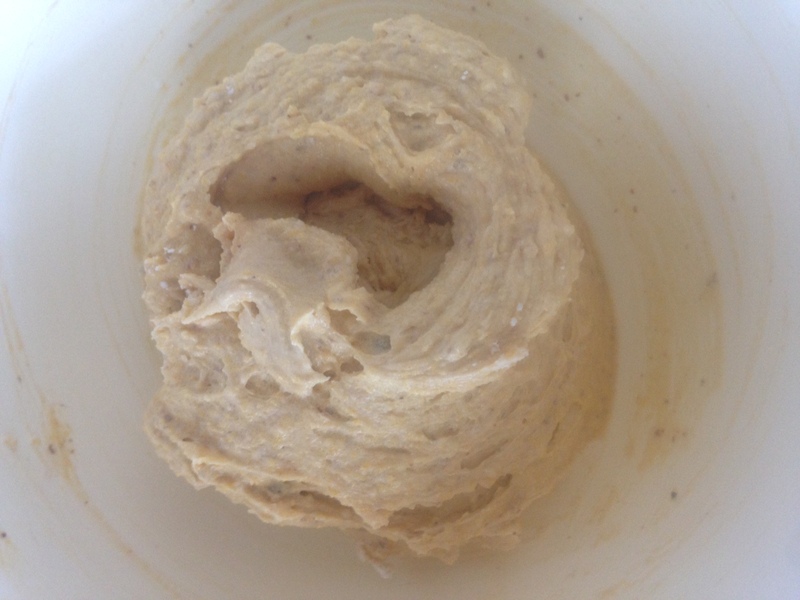 Turn to medium for 5 minutes or until the mix thickened up and turns syrupy. Pour the syrup over the top of the cake, evenly covering all areas. 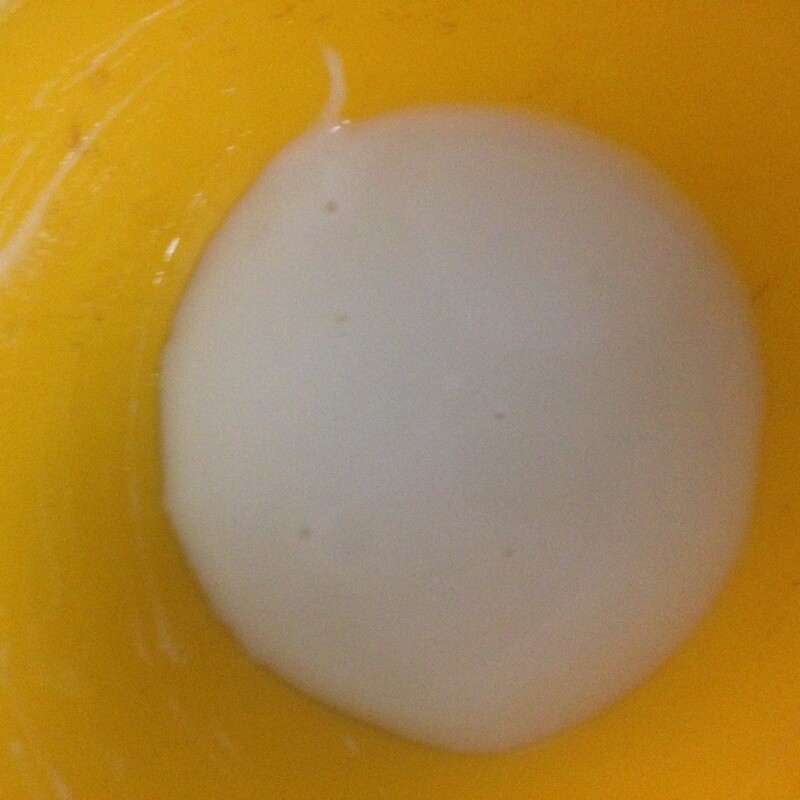 Whip the cream until thick and peaks form. Remove the cake from the tin and serve warm with a dollop of the cream on the side. 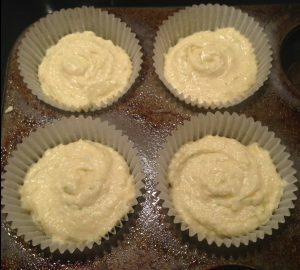 When flattering out the cake batter allow for more batter around the sides of the cake so when it rises the centre will not peak. 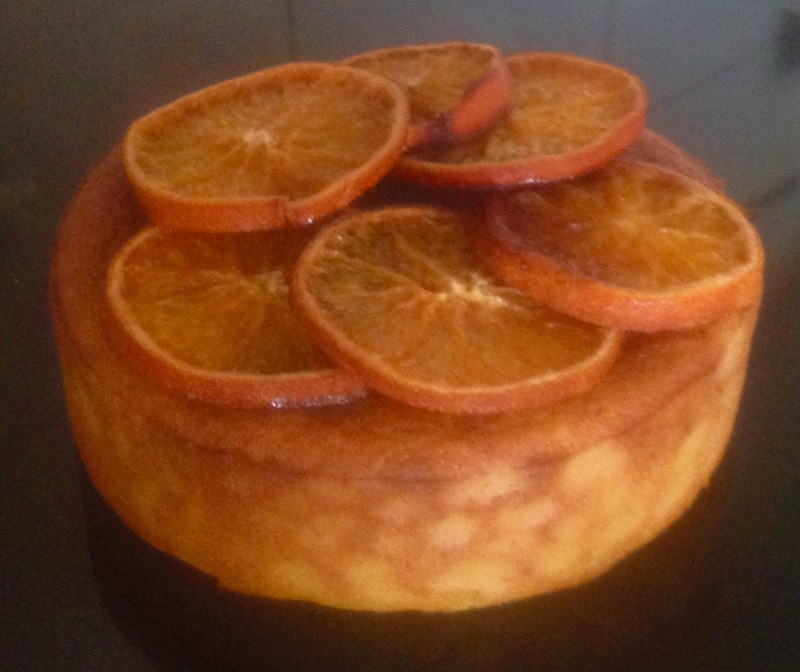 Tags: orange, Orange Blossom Semolina Cake, Orange blossom semolina syrup cake, orange blossom water, Semolina, syrup	. Posted on January 29, 2014 Posted in Cakes	. 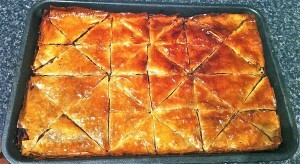 This cake believe it or not tastes like Baklava but without the pastry and is better! 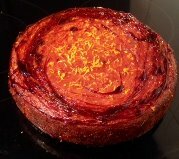 This is actually one of my favorite cakes that incorporates beautiful spices, tasty hazelnut with a to die for syrup and melt in your mouth texture. Place the teabags into boiling water on a saucepan, boil then let the tea infuse for 15 minutes mins. 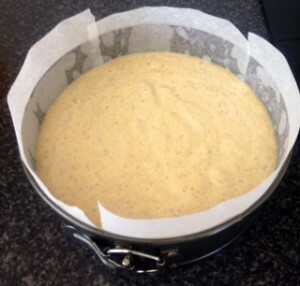 Preheat the oven to 180c and line a 20cm cake tin with baking paper. Beat butter and sugar until pale and fluffy, add eggs one at a time. Sift in the corn flour and baking powder. Add hazelnut meal and milk and stir to combine. Pour into tin and bake for 45 minutes or until skewer inserted in the cake comes out clean. To make the syrup remove the teabags and add in the honey, cinnamon and sugar. 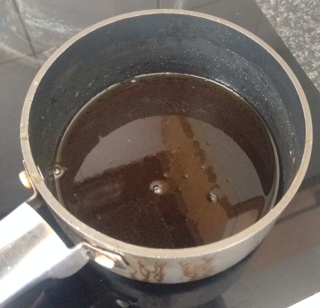 Put the stove on medium until the sugar dissolves, then bring to the boil until the syrup has thickened. Once cake has cooled place on a plate and drizzle with the syrup. My example above is a slice, where I just made this into a rectangle slice tin instead. As this cake has minimal rising agents this was fine to do. I recommend though making it as a cake. You could use chai teabags instead of chamomile for a more spicy taste. I recommend whipping up some cream with icing sugar and piping on top then drizzling the syrup if you want to dress the cake up a bit. This would also be lovely served with ice-cream on the side. 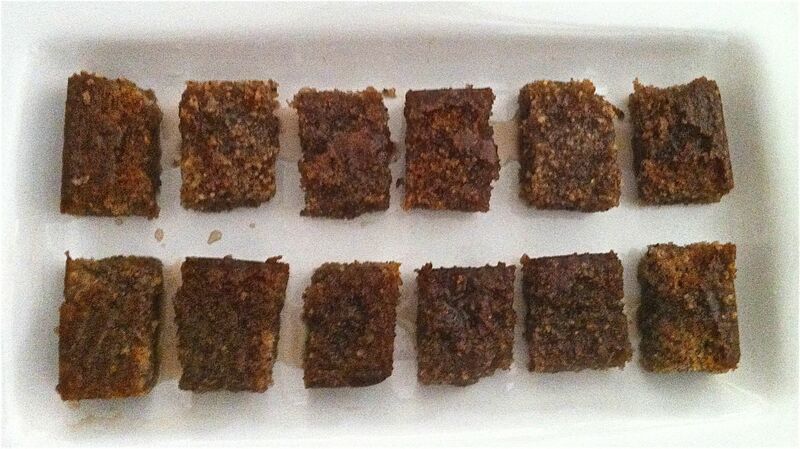 Tags: hazelnut cake, Hazelnut Cake with Spiced Syrup, spices, syrup	. 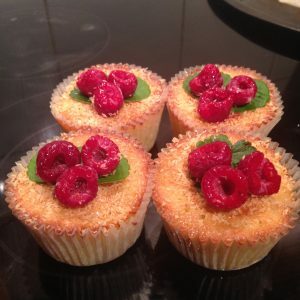 I am a lover of polenta, cook with parmesan and bake..oh my! So when I came across a polenta, yoghurt (I also love baking with yoghurt the texture is to die for) and lime cake I was intrigued. 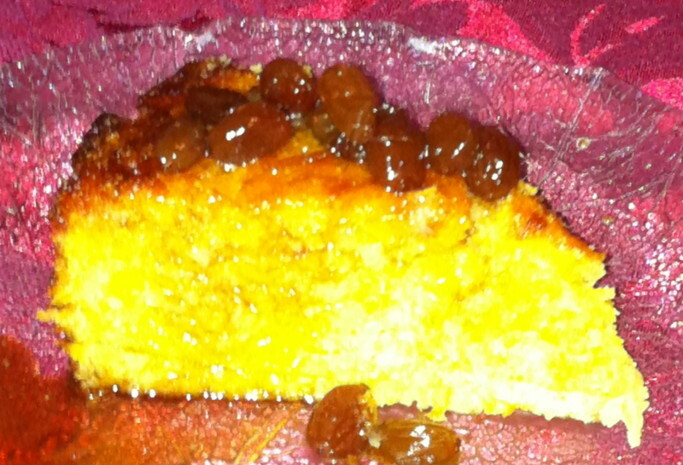 You don’t taste the polenta (it doesn’t really have much flavor anyway) but the texture of this cake is awesome. 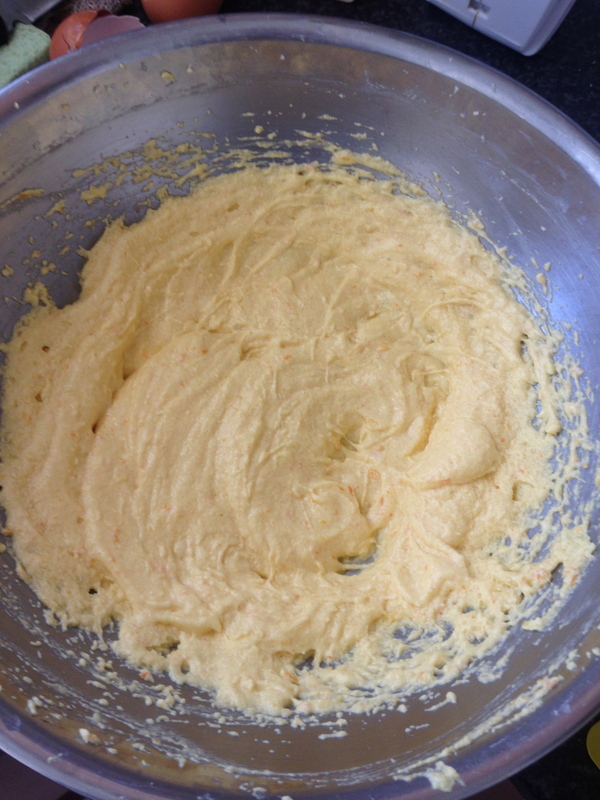 Combine the polenta, yoghurt and rind in a bowl and mix. 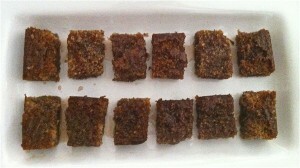 Refrigerate for 3 hours minimum (overnight would be best). 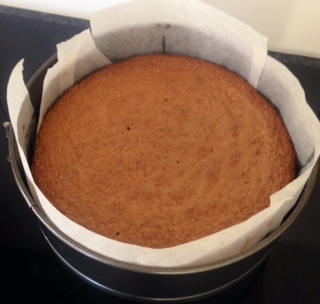 Pre-heat the oven to 180c and line a 25cm cake tin with baking paper. 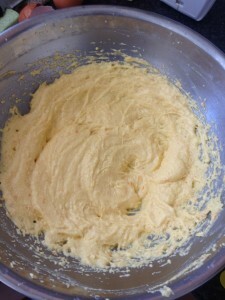 Add the butter, sugar and polenta mix until combined. Then stir in the eggs and sifted flour. Pour batter (or spread due to constancy) into the cake tin and cook for 50 minutes. 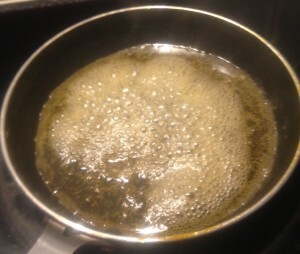 To make the syrup add the sugar and juice into a pan on the stove on low until the sugar is dissolved, then boil mixture. 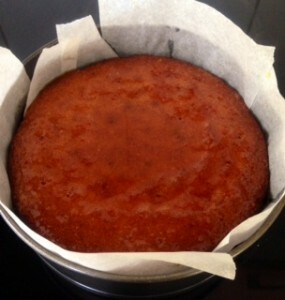 Pour the syrup over the cake in the tin once cooked and let the cake stay in tin for 20 minutes. Serve. This cake is amazing by itself but you can serve with a dollop of yoghurt on the side if you think the syrup is to over powering. 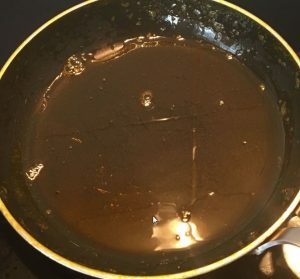 Don’t microwave the syrup instead of cook on the stove, the syrup won’t thicken and it will be the consistency of water not thick syrupy goodness. I places some sultanas in the syrup for a bit of a variation on the syrup in the pic above, however I do recommend leaving the syrup as is. Tags: lime, polenta, syrup, yoghurt	.